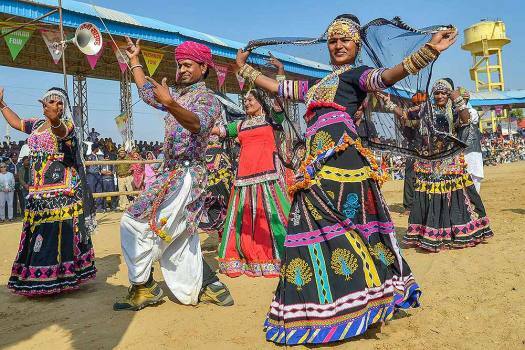 Artists perform a Rajasthani folk dance during the closing ceremony of Pushkar Fair 2018, in Pushkar. 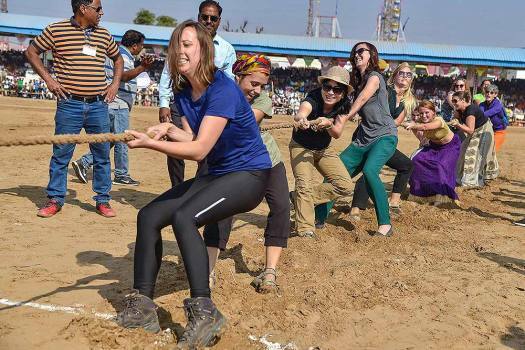 Foreign tourists take part in a tug-of-war competition at the closing ceremony of Pushkar Fair 2018, in Pushkar. 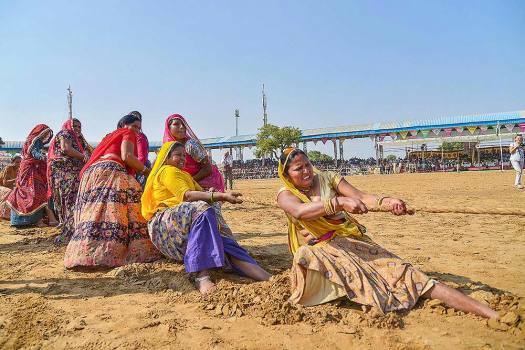 Women take part in a tug-of-war competition at the closing ceremony of Pushkar Fair 2018, in Pushkar. 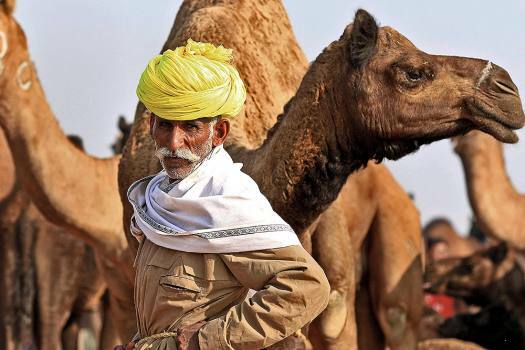 A camel trader at the annual Pushkar Camels Fair 2018, in Pushkar, Rajasthan. 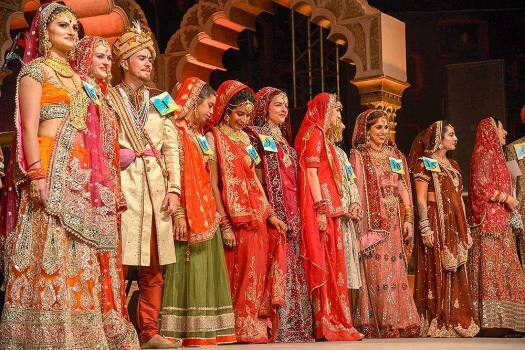 Foreign tourists take part in a bride-groom dress competition, at the annual Pushkar Camels Fair 2018, in Pushkar, Rajasthan. 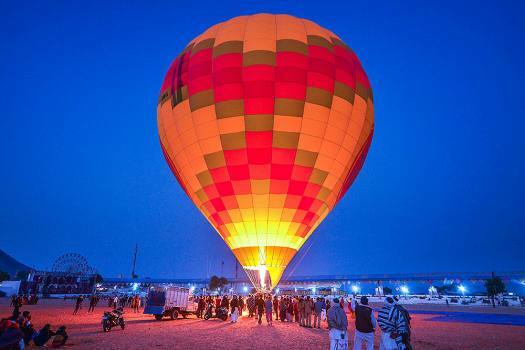 People gather near a hot air balloon, at Pushkar Camel Fair in Pushkar. 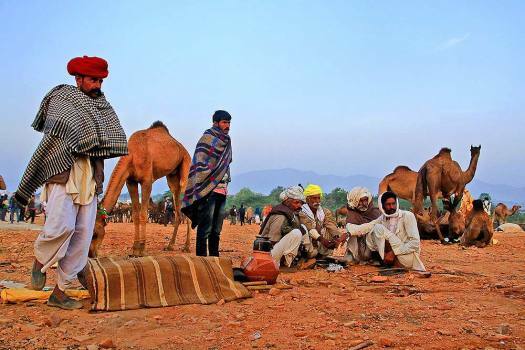 Camel traders at Pushkar Camel Fair 2018 in Pushkar, Rajasthan. 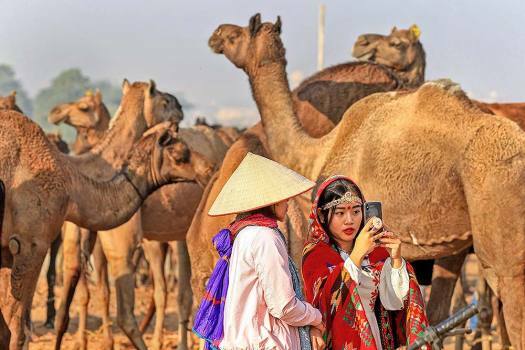 Tourists dressed in traditional attire take a selfie at the annual Pushkar Camel Fair 2018, in Pushkar. 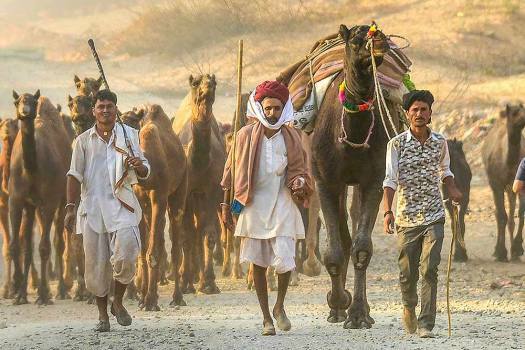 A trader arrives with his livestock at the annual Pushkar Camel Fair 2018, in Pushkar. 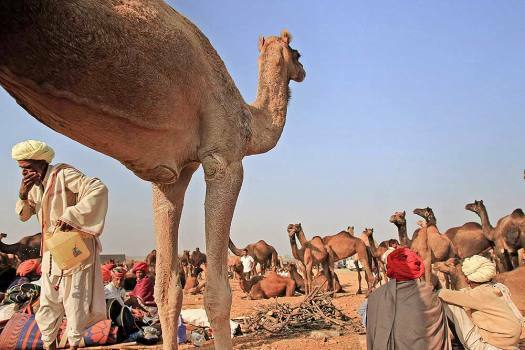 The annual five-day livestock fair is one of the largest camel fairs in the world. 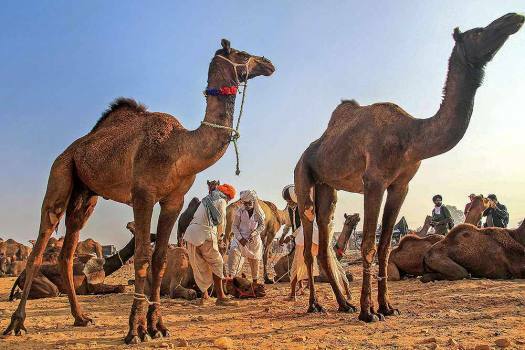 Traders arrive with their livestock at the annual Pushkar Camel Fair 2018, in Pushkar. 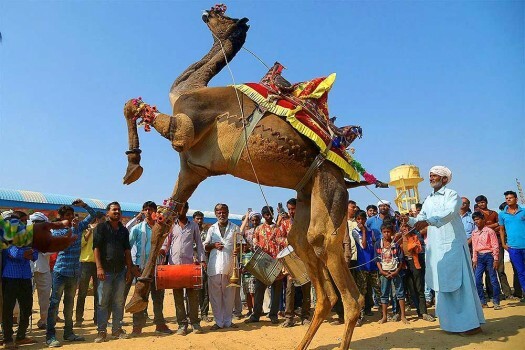 Traders from different regions attend the annual Pushkar Camel Fair 2018, in Pushkar. 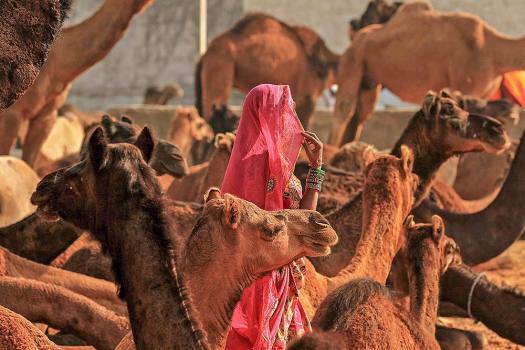 A woman in her traditional attire walks among a herd of camel during the annual Pushkar Camel Fair 2018, in Pushkar. 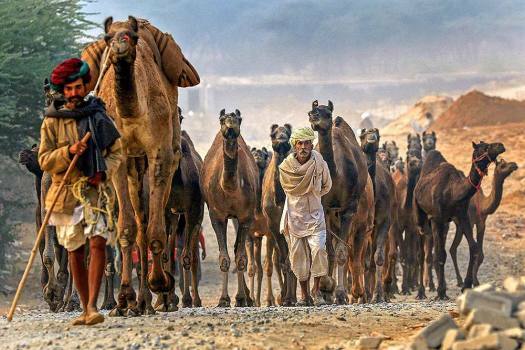 Traders arrives with their livestock at the annual Pushkar Camel Fair 2018, in Pushkar. 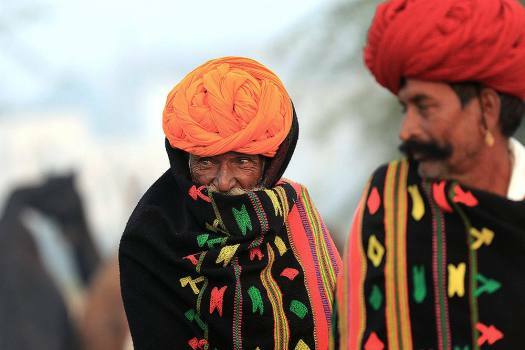 A trader arrives with his livestock at the annual Pushkar Camel Fair 2018, in Pushkar. 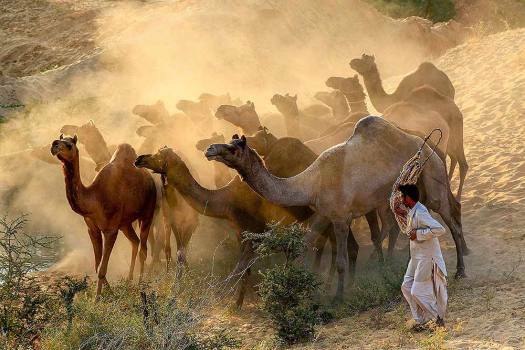 Traders arrives with their livestock at the annual Pushkar Camel Fair 2018, in Pushkar. 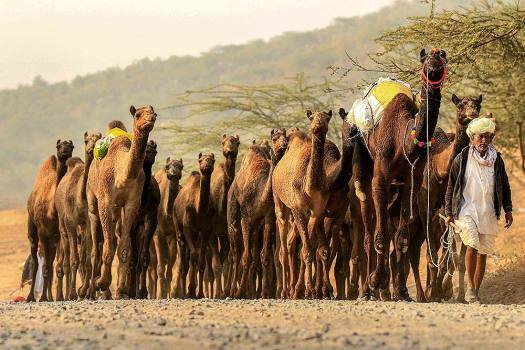 The annual five-day livestock fair is one of the largest camel fairs in the world. 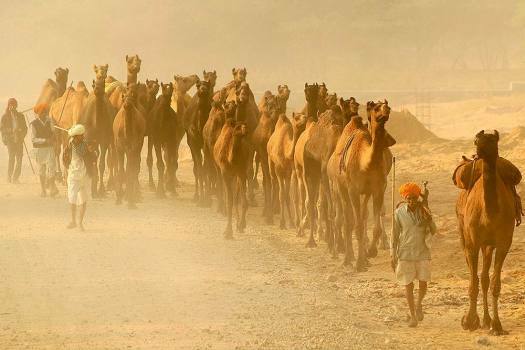 Farmers with their camels arrive at Pushkar Camel Fair 2018, in Pushkar. 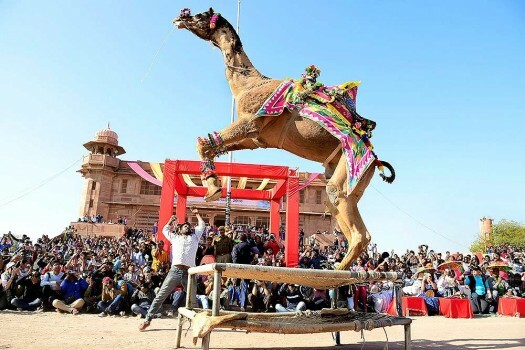 A camel performs during the 25th International Camel Festival in Bikaner. 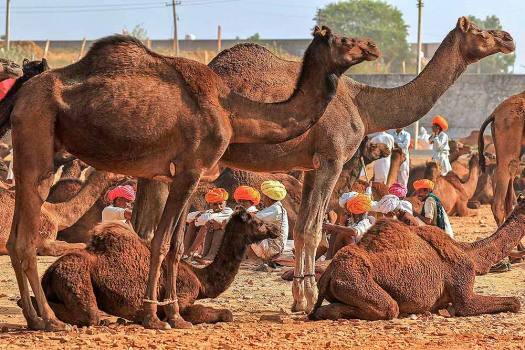 A camel entertains tourists at International Camel Fair in Pushkar, Rajasthan. 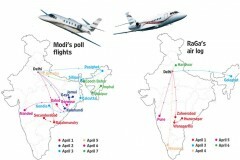 Referring to the mega animal fair being organised for the first time on 1800 acres of land here, he said "these animals don't go to cast their ballot. They are not anyone's voters."